We recently moved our goldfish from there outdoor pond to an inside tank. We drain the outdoor ponds for the winter so that they don't freeze and break. It is very fun to actually be able to see the fish now that they are stuck in a small space. I decided I wanted to photograph them eating because I liked how they flited about when they came up to the surface to get the food. 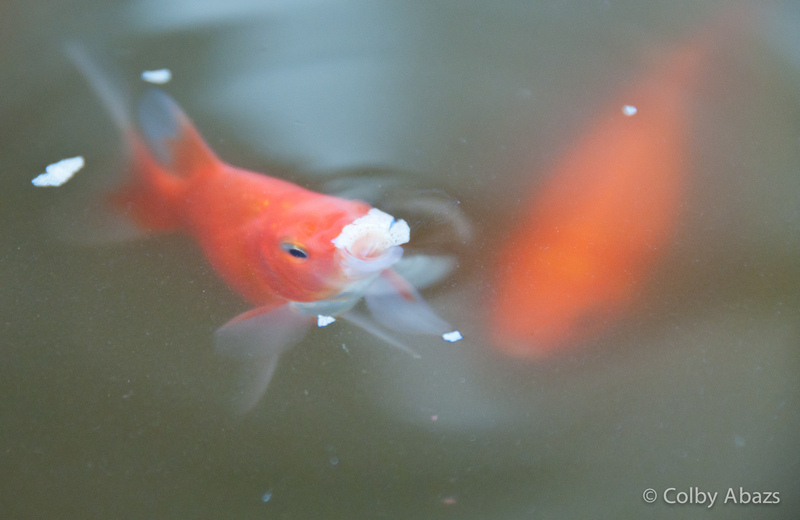 i ended up getting this photograph that I love because I got it right as the fish was eating the food.